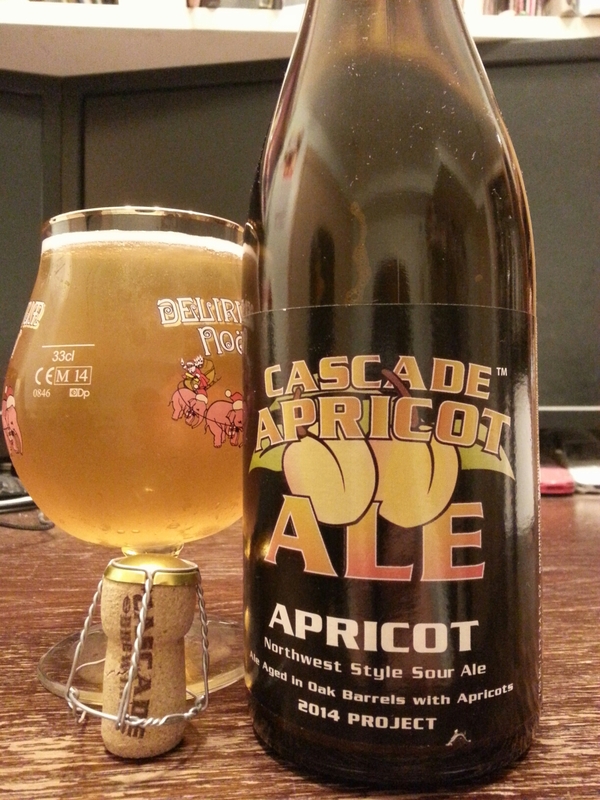 Apricot Ale 2014, Oak aged – Cascade Brewing (Portland, OR, USA) | Justintoxicated. Visual: Hefty bottle, twisty wire cap and composite cork. Bottle-conditioned. Pours clear amber with a smallish head, a thin layer of retention, clusters of steady micro streams. Finish: tart, candy tangy, residual sour fruity finish. Summary: (Ouch, price tag hurts the wallet.) Fair warning, this sour is sour and it means it. Goes down better with salty food, and caution to those who have a stomach sensitive to acidic food. Very taxing on the palate and a slow sipper. It has decent flavours and body but the sourness is just too over-the-top for me.